Are you a man scouring the web for unique gift ideas for Valentines Day? Perhaps you're a woman who is looking for your partner or yourself! Well, this list will help you too. Valentines day shouldn't always be for others. We deserve to treat ourselves too, even though most of the time we don't think so. Everyone deserves to gift themselves and I am here to tell you that it's OK and you can. Whether it be an art class, a new perfume, candles, clothing, a nice wine, chocolates or some other indulgence. Go do it! 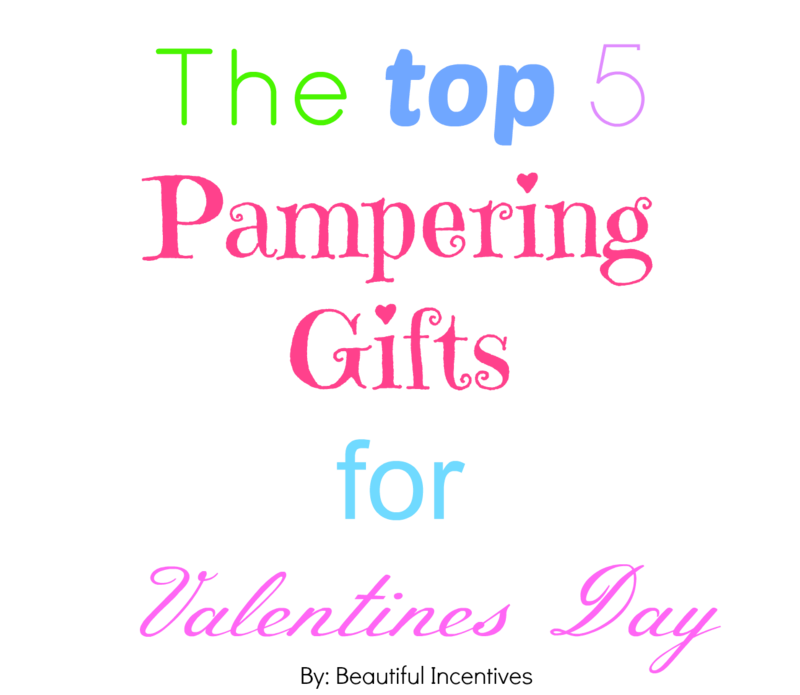 I comprised a list of what I have seen proven to be the top 5 pampering products to gift someone on Valentines Day. In my opinion, these absolutely never get old. Gifting them any day would make whoever you are with one lucky gal or guy, but these are perfect for Valentines Day when you really want to pamper them or yourself. Silver Lining: A fresh powdery, slightly sweet scent. Pink Vanilla Kiss: A very sweet scent with notes of vanilla and berries. This is reminiscent of a berry sundae and kind of cotton candy-esque. Sweet Sunrise: A slightly sweet and citrusy scent with a hint of florals. Twilight Mist: A sweet and spicy, slightly woodsy scent. These are similar to other brands i'm sure you have tried, but you'll notice, they're half the cost! This is a fairly new line, to me at least, that I absolutely love and this scent is perfect for both the colder and warmer months. 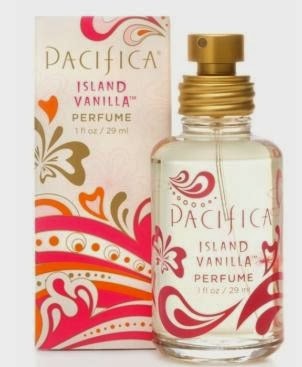 Pacifica Perfume- Vanilla Island is among my absolute favorite of scents. If you love vanilla, you will love this twist on it. The body cream and shower gel will leave you smelling like a vanilla parfait all day. Layer it all on you like vanilla cake and frosting! In both summer and winter, I love to mix this with a minty perfume like Twisted Peppermint. It gives you a cool feeling in the summer heat. They have a plethora of scents, so there will definitely be one to fit your fancy. Everything from woodsy, to floral to fruity and very exotic! 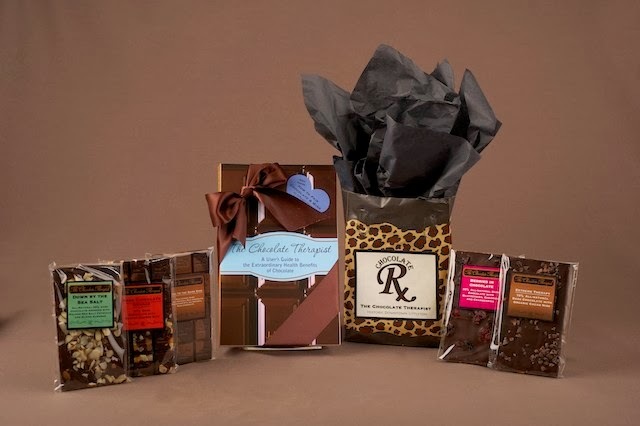 Almost all women love chocolate, but why not take it up a notch with The Chocolate Therapist. They're here to be your medicine, because let's face it, sometimes that is really all we need. But really, chocolate has many health benefits in it's purest form, cocoa. 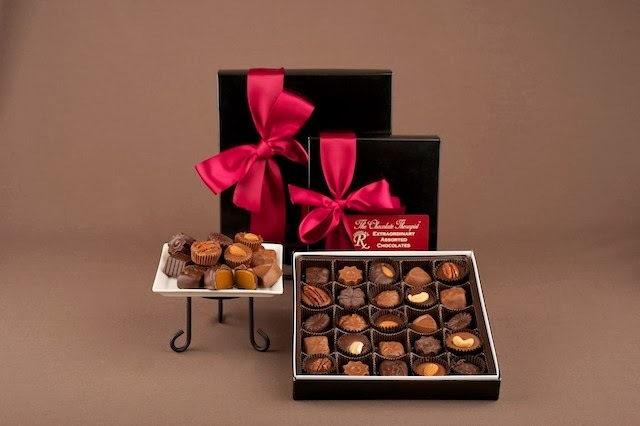 This company infuses unique flavors, fruits and exotic spices into their all natural chocolate. It is most notably nutrient rich and full of flavor. The maker's objective was to focus on fusing chocolate with nutrition, so you'll find so many different healthy varieties and even sugar free. There are so many different types to try. This place will make you drool and their presentation is gorgeous for gifting. They also offer a variety of coffees, gift sets, books and pure healthy cacao beans on their own, which are full of antioxidants. I'll let the pictures take it from here, as they speak for themselves! 4. Melt warmers & Candles- Do you know his/her favorite scents? 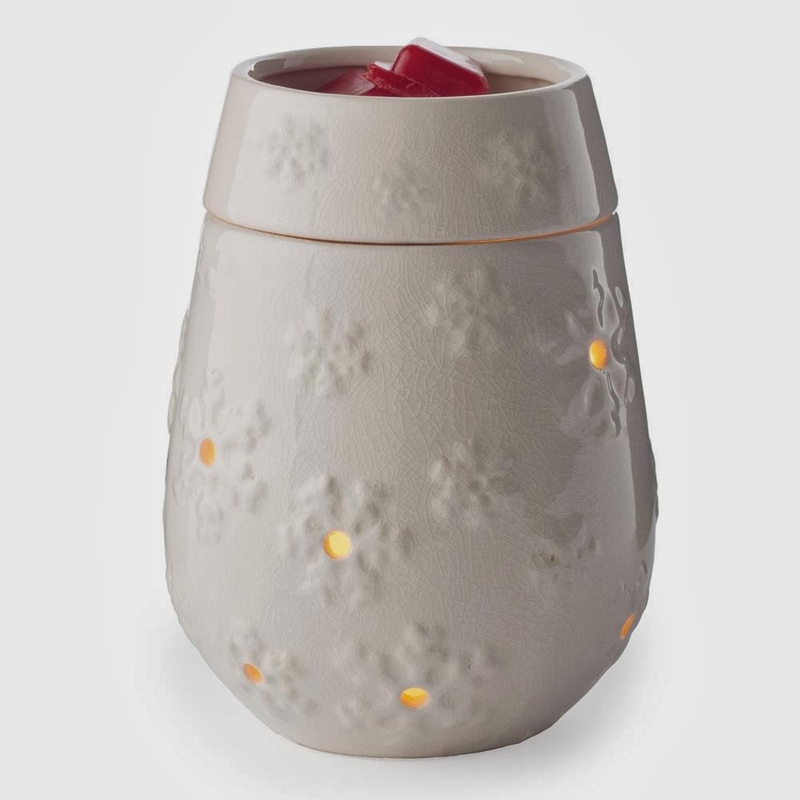 Cozy up to a beautiful new warmer or candle that emits a scent of comfort, healing and rejuvenation, like lavender. It's safer for the environment if you go flameless. 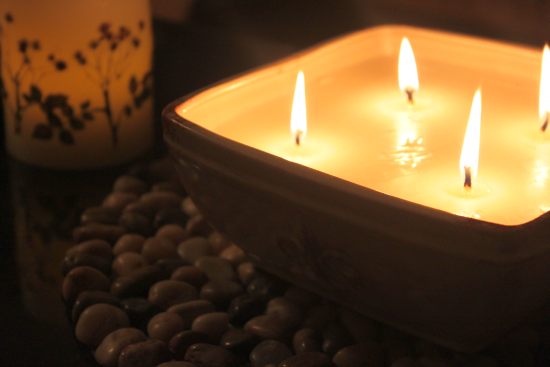 If you use a candle, avoid black soot and chemicals in the air, by using a pretty candle snuff to put the wick out. Candlewarmers has a wide array of beautiful candle warmers, melt warmers, lanterns and all your accessories needs. They are among the cheapest anywhere! Citycreekcandles- This is the umbrella company of Candlewarmers and they sell yummy smelling melts, along with unique 4 wick pottery candles and so much more. They have a very pretty vintage inspired heritage pottery line. The great thing about candles like these is that the shell is gorgeous and be reusable once the candle melts down. 5. Anti-aging - Products that aid in the prevention of anti aging with antioxidants Collagen and more. The newest most innovative out on the market. Who gets tired of things that claim to help us look younger? No one really. Everyone wants the newest and best available and it's here. Collagen pills, antioxidant drinks and chews from Neo Cell. Featured on Doctor Oz. 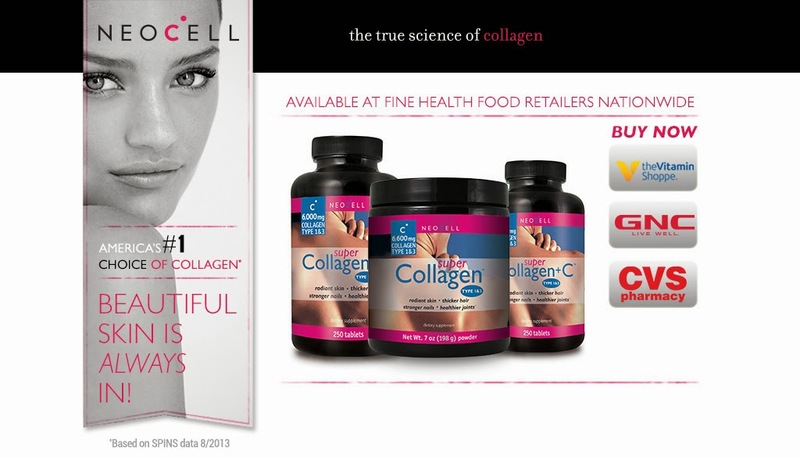 Collagen is what keeps our skin looking young. These supplements are said to replenish what we lose as we age. Wrinkle prevention and even elimination cream, such as the new Yves Rocher Elixir line- Cruelty Free line. One of my absolute favorite makeup and skin companies. This army of age fighters has actually proven to have shown results in a lot of people. 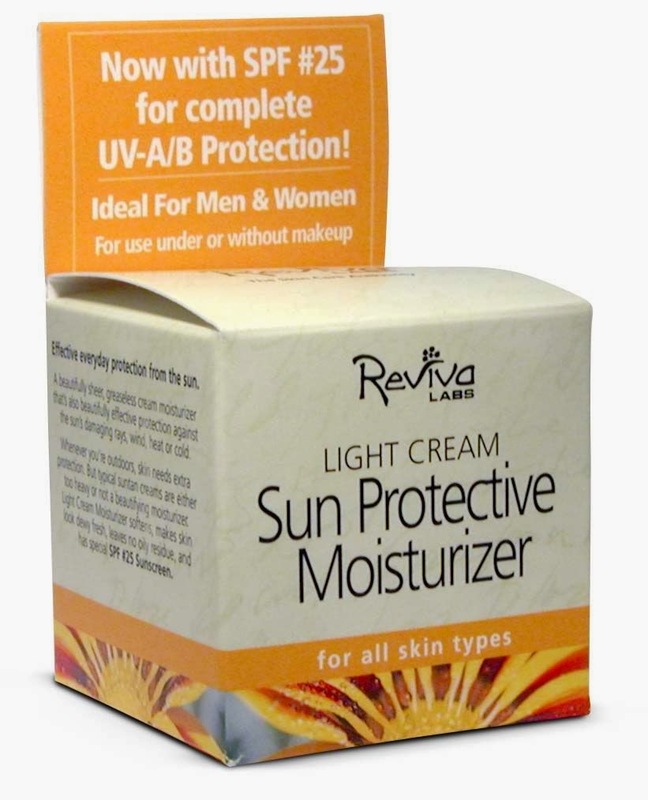 Reviva labs sunscreen and moisturizer in one, with SPF 25! Prevention is key, so find your favorite sunscreen and use it religiously. (With at least SPF 25) One of my absolute favorite makeup and skin care companies as well. Get lots of fruits and veggies with antioxidants. Go out and treat yourself to a few pomegranates and blueberries, which are filled with plenty of antioxidants. Consider all of the above and gift in a pretty home made gift basket. Give the gift of science and nature!